Fun With Frisian: SUVEL - "dairy"
I saw this word today while reading and thought that it would make a good basis for a lesson. 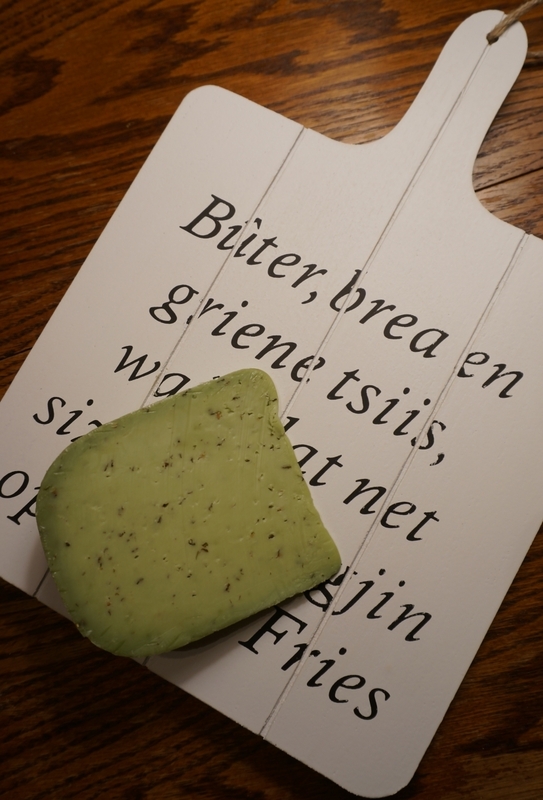 English-speakers who have so much as dabbled in Frisian will be quite familiar with the word tsiis, a veritable twin-flame to its English equivalent "cheese." However, the word suvel will likely be less familiar. "Butter, bread, and green cheese"
Let's branch out from this starting point. Taalweb Frysk explains the word's meaning further. Incidentally, the Frisian for "meaning" is betsjutting, related to the verb tsjutte - "to indicate," "to point," or "to interpret." ...molke en alles wat fan molke makke wurdt, lykas bûter, tsiis, yochert..
Kâns op staking yn 'e suvel. Meiwurkers fan Fryske suvelfabriken binne ree om takom wike it wurk del te lizzen. Of course, any mention of dairy requires that we know the word for "cow." Kij, pronounced like the first part of "kite," [kIGH], is the plural form, cattle. What if you don't eat dairy? Maybe you are a feganist [fey-GAHN-ihst], a vegan. Or maybe not. In any case, "fruits and vegetables" can be either griente en fruit or—less commonly—griente en fruchten. Note the reversal from the usual English word order. [GREEN-tuh] is vegetables. Fruit looks like English, but it rhymes with "out." [FROWt]. 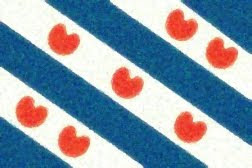 So look out when you see fruit in Frisian! Fruchten is said with a long -oo- vowel in the first syllable like the word that it means in English. [FROOkh-tuhn]. There are also nôten (grains) and nuten (nuts): [NAWT-uhn] pronounced like the word "knot" and [NOOT-uhn] pronounced like the word "newt," respectively. Good eating (literally: "delicious eating")!